Discussion in 'Black People Open Forum' started by Ndugu, Feb 28, 2019.
you challenging me personally?? I ben active in the community and worked with every known leader , since the late 80s in NYC , what were you doing since the late 80s?? You call that, what to me, seems a bit of rather deep messaging for attempting to gain some inner peace and strength as any kind of challenge beyond that which anyone would or has faced within themselves? I'll promise you this mister, if I challenge you in the way you seem to have taken that friendly piece of advice. YOU'LL KNOW IT. 240 people see my point! We didnt go through this crap when we had real Black leadership and organizations! No one here in this pic, had the luxury of reaching back to former leaders and their solutions, at 50 terrabytes, of real data, on their cell phones, or have a spending power of a trillion dollars, so the question is how long will this go on as White Supremacy is upgraded and rebooted?? Ndugu you need to stop quoting cutting edge technology and geopolitical funding that's obviously waaaaay above your pay grade and get real. On another note I could be wrong but I believe 13 of the 36 "Leaders of color" pictured above actually had the luxury of not only reaching back to leaders/mentors that passed on but reaching out to existing leaders/mentors "If you will". 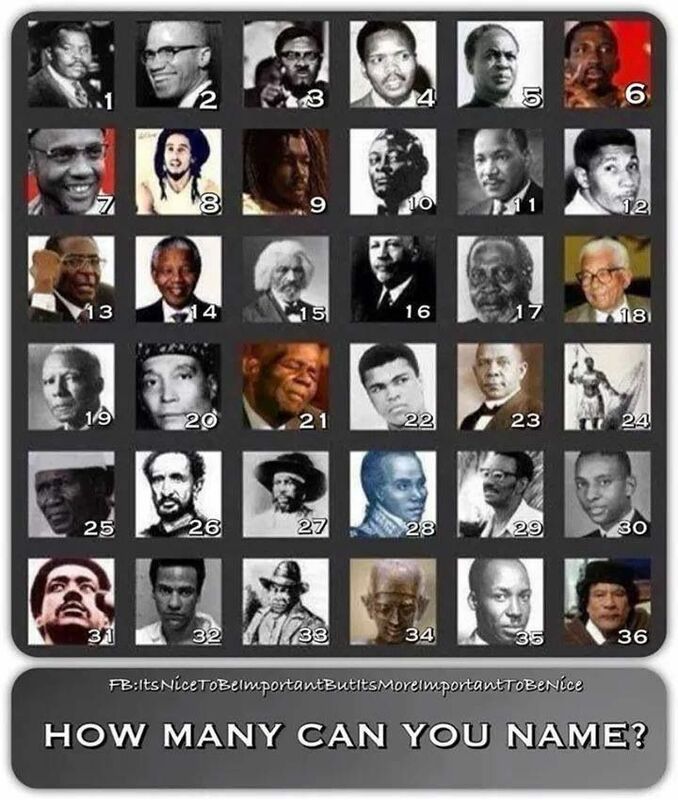 Only if you feel it's worth educating us unwoke members of color here feel free to name the leaders/mentors of numbers: 3,4,5,6,7,9,10,13,16,17,18,19,21,23,24,25,26,27,28,29,30,33 and 35. Thanks in advance, enjoy your weekend and GOD Bless you Bruh. do you do anything but whine ?????? Im trying to be cool bro, and I dont troll your posts , with attitude , cause I can simply say what does your girl Yvette Carnell do but complain and collect dollars for it on youtube! Now if you see my point is worng we can debate it , but I think you older then me so what you been doing down there in Philly in the 80s and 90s, to uplift the community there ?? Science and Technology : Can Social Networking Defeat White Supremacy? Black People : Common Sense 101-Why Do We Still Believe Marching And Holding Up Signs Will Defeat White Supremacy?